The tour includes a visit to the Bhutanese capital - Thimphu, the old capital - Punakha, a day at the green valley of Haa, and finally, Paro - home of the international airport. The tour extends to the Haa valley which, until 2002, was closed to the outside world. 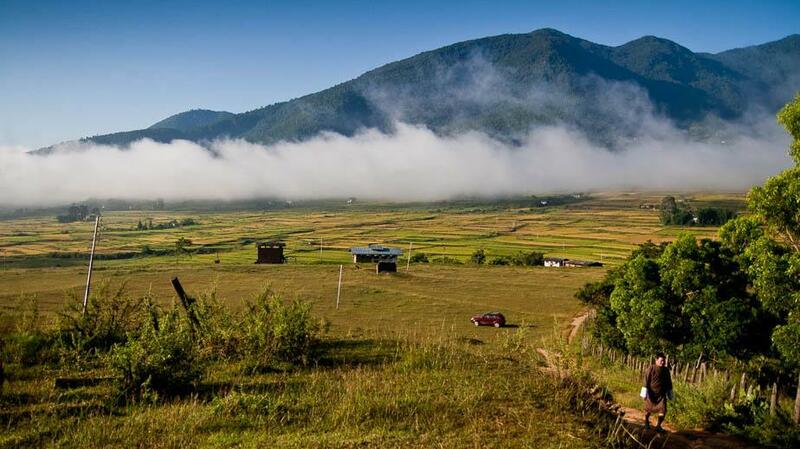 Less than 10% of visitors to Bhutan make it to this picturesque valley. The strong-boned and resilient people of Haa inhabit the high valleys above 3000m. Typically yak herders and farmers, they cultivate high altitude crops such as wheat, potatoes, barley and millet. The drive from Paro to Haa passes through Chele La, the highest motorable road in Bhutan so be prepared for spectacular views. Schedule your trip during the annual Haa Summer festival to see the weaving and making of yak hair tents from scratch! Get to see a variety of yak products on display, learn about the process of yak shearing and wool making, experience the culinary traditions of Haa as you see how they transform yak dairy into delicious traditional meals. Expect to stumble on beautiful, one-of-a-kind bargains as the people of Haa are known for their skills in the 13 traditional arts and crafts of Bhutan. Welcome to Bhutan, the Land of the Thunder Dragon. Touching down at Paro International Airport, you will be greeted by your guide upon exiting the arrival hall. Today, we will take it easy to acclimatise to the altitude. 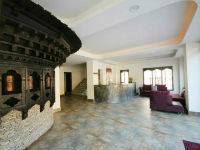 Drive to Thimphu, check in to the hotel and lets have your first taste of Bhutanese cuisine. After which, you will visit the National Memorial Chorten which is built in honor of the late King Jigme Dorji Wangchuk. Thimphu Dzong, the largest Dzong in Bhutan, is also the seat of the office of the King of Bhutan. Every Saturday and Sunday most of the Thimphu population congregate on the banks of the river where the Weekend Centenary Farmers’ Market is held. Here villagers from the valley and other nearby places come to sell their agriculture products. Thereafter, we will drive up to Kuenselphodrang Nature Park where the 169 feet bronze statue of Buddha Dordenma, Vajra Throne Buddha is located. It one of the largest statue of Buddha in the world. You can enjoy the night walking around Thimphu Town after dinner. We begin our trip with walk to Cheri Gompa (2850m), was first built in 1620 by Zhabdrung and it was here that the central monastic body (Dratsang) was first established. Many of the important priests of Drukpa Kagyu lineage passed periods here, and so it is an important pilgrim site for Bhutanese. Weaving is considered the national art of Bhutan, so at The National Textile Museum, you will learn all about the brightly colored and beautifully designed fabrics that are worn by the Bhutanese people. Thanks in part to our Queen Jetsun Pema, the fabrics of Bhutan are widely considered high fashion around the world. Due to the importance of this living art form, the Royal Government of Bhutan works to preserve and promote these traditional weaving methods. Drive above Thimphu city, pass Mothitang area and drop by the Takin Reserve century to see our national animal called ‘Drong Gemtse’, an animal supposed to have the body of a cow and head of a goat, believed to have been created by Buddhist Master popularly known as Divine Mad Man. The peace road finishes at Sangay Gang where we have the BBS tower and many prayer flags fluttering. The trail leads up through many hanging prayer flags making the place beautiful and if you look back you will find good view of Thimphu city. At first the trail seems to head up into the mountain towards Phajoding. But after 10 minutes of abrupt climbing you will take the side footpath to right and the trail gets gentler and easier. You will find apple orchard and few farm houses above the trail. From here the trail drops down gently through oak, blue pine and rhododendron until you will reach Wangtse monastery. The view of Tashicho Dzong, Thimphu city, and Buddha statue is stunning from here. The trail from here switches back towards Sangay Gang following a bicycle trail. We will set off early from Thimphu after breakfast, perhaps with a visit to the weekend market first. Then proceed to Punakha, the ancient capital of Bhutan, about 2.5 hours drive from Thimphu across Dochu-la pass. Once you cross the pass, you wind down into a warm fertile valley and meander along a gently flowing aquamarine river that leads you to the Punakha Dzong, the second dzong to be built in Bhutan. 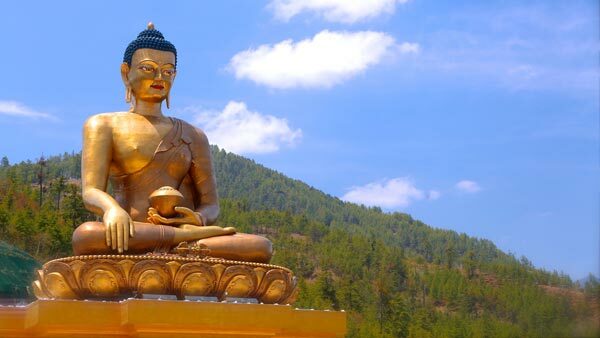 On your way to Punakha, stop at Dochula Pass to have a coffee break and admire the grand 108 stupas. 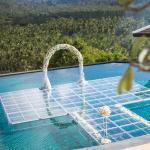 If in good weather, take in the enchanting views of Mt. Himalaya. You can also do a Dochula Natural trail hike(1.5 hours). Upon arrival in Punakha, visit Punakha Dzong, the beautiful Bhutanese architecture armed by the Pho Chu and Mo Chu rivers, serving as the religious and administrative center of Bhutan until the mid 1950s. Head for a suspension bridge and start hiking up toKhamsum Yuelley Chorten, passing by nice rice terraces and pine forests en route. When reaching the stupa atop, take in the superb views. Later drive to Lobyesa and continue another 20 minutes' hiking to Chimi Lhakhang, a temple dedicated to the Devine Madman and now a sacred place where women pray for children. The beautiful valley of Paro is home to many of Bhutan's old monasteries and temples. The country's only Airport is in Paro. The valley is also home to mount Chomolhari (7,300 meters) situated at the northern end of the valley whose glacier water forms the Pachu flowing through the valley. Paro Valley - The beautiful valley is home to many of Bhutan’s old monasteries and temples. The country’s only Airport is in Paro. The valley is also home to mount Chomolhari (7,300 meters) situated at the northern end of the valley whose glacier water forms the Pachu flowing through the valley. The following are some of the prominent places to visit in Paro. Paro Dzong also known as Rinpung Dzong, this 15th century massive fortress/monastery, is also the administrative center of the dzonkhag. A morning drive, north of Paro valley brings us to the ruins of Drukgyal Dzong. Built in 1647 by the great Shabdrung Ngawang Namgyal, father and unifier of medieval Bhutan, the Dzong was destroyed by an accidental fire and left in ruins as an evocative reminder of the great victories it was built to commemorate.Explore the ramparts and relive the memories of a glorious past. Drive to Haa through Chele La (3,988 m). From the pass, you can see Paro valley on one side and then Haa valley on the other. You can also have a picnic at Chele La if you like to. In Haa, some sightseeing and then going to katsho village and visiting the Katso Lhakhang. The valley of Haa was only opened to Tourist in 2002 and Haa is the least visited valley in Bhutan due to the lack of Tourist infrastructure. This has helped in keeping Haa the way it has always been, with Bhutanese families living their traditional and simple life. There are no tourist standard hotels in Haa valley, so we return to Paro for the night. Are you ready? We will be making the hike up to one of the key highlights in Bhutan today! Tiger's Nest aka Taktsang Monastery. 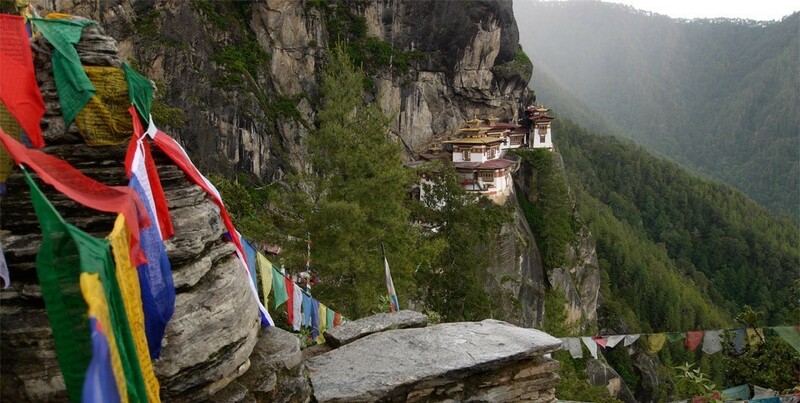 A one hour hike to the cafeteria is also a vantage view whereby you can enjoy the stunning view of Taktsang MonasteryPrayer flags adorn the cliffs and this is also where Guru Padmasambhava landed on the back of a tigress in the 8th century. After a sumptuous local lunch, we will retrace our steps to visit Kyichu Lhakhang, one of the oldest temples in Bhutan. Miss Tam Chiak and Superadrianme.com recently travelled to Bhutan and created a travelogue on what you can see and expect from Bhutan. Watch their entertaining travelogue and discover what awaits you. Mrshoeson return from her sojourn in Bhutan and has a lengthy review of her trip, guide and driver. She also answers some pertinent question on traveling in the month of August. We have just returned to Singapore from our trip to Bhutan and would like to give fantastic feedback for our tour guide, Kinley, and our driver Uncle Rock. Kinley had been very caring throughout our trip and took care of us every step of the way. 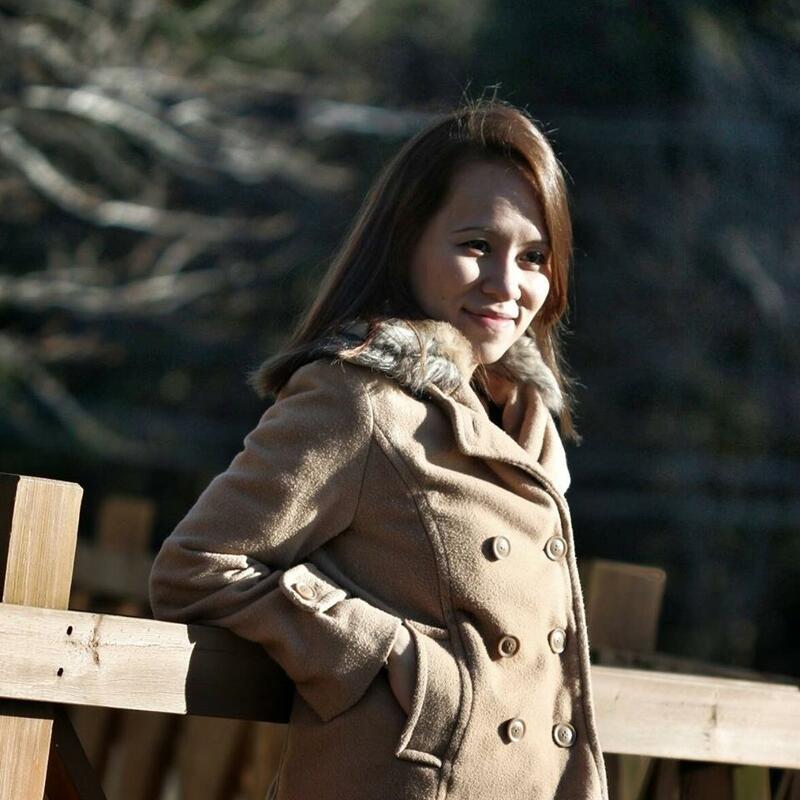 She went the extra mile to make us feel comfortable and safe and helped us experience the best of Bhutan. Kinley was a very hardworking, knowledge, warm-hearted lady and we are extremely thankful to her.